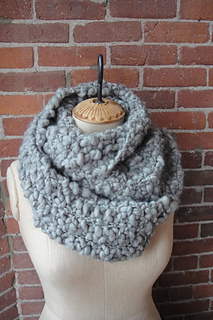 Gorgeous voluminous cowl- true statement piece! 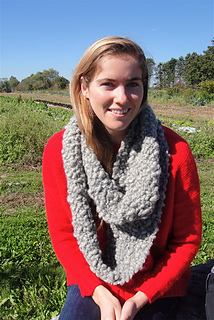 This is a very simple pattern knit in seed stitch. 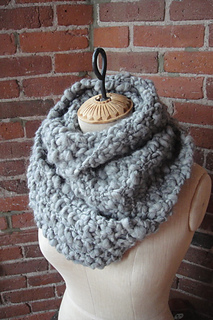 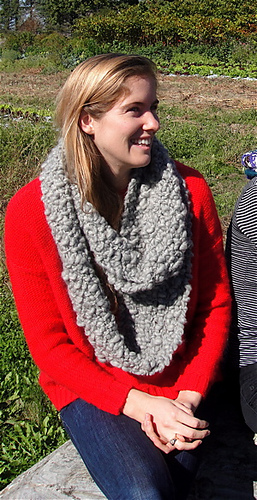 One skein of Knit Collage Sister will make a cowl that loops twice around the neck. 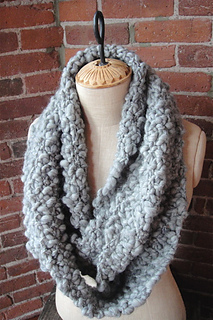 Two skeins will give you the full length version pictured. 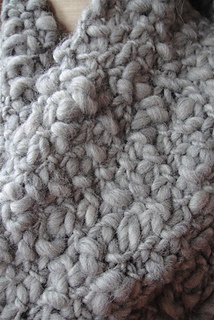 The colorway shown is Soft Grey Heather.